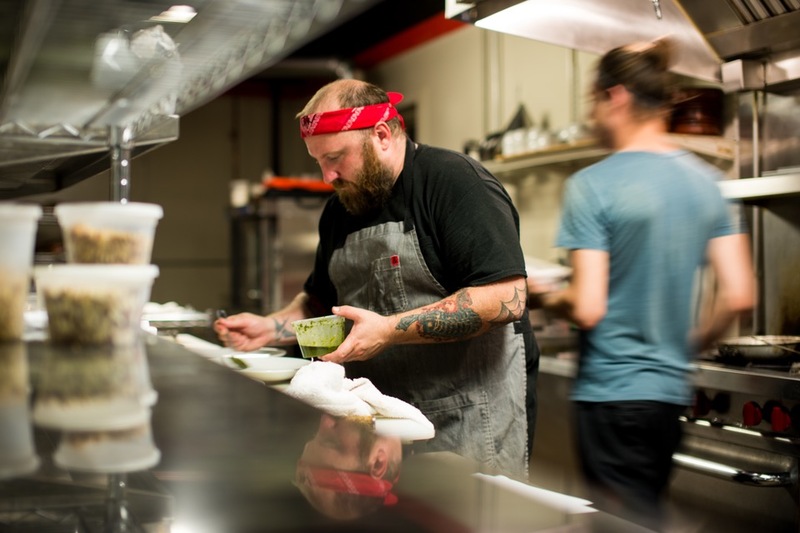 Chef Josh Fidler is the mastermind behind Fidler & Co. Craft Kitchen & Grocery in Gettysburg. This Adams County gem churns out some of the most revelatory cuisine around with a mashup of fusion flavors and careful attention to the freshest locally sourced ingredients. Pennsylvania produce has a prime spot on the menu at Fidler & Co.
“I look forward to tomatoes and corn the most,” says Chef Josh. College found Josh in California, where he would frequently head across the border to Mexico to sample the local delicacies. His recipe for Mexican Grilled Corn is based on fond memories from when he would get delicious ears from street carts south of the border. Infused with spices that play against the sweetness of the corn and enriched by mayonnaise and Cotija cheese, this recipe will elevate any BBQ or summer dinner. Try different types of sea salt with recipes like Mexican Grilled Corn (above) to see what you like best. Simple is best. Chose preparations that showcase how great and fresh the produce is. Tomato salads and gazpacho are a great way to use summer tomatoes. Try grilling zucchini or summer squash and then dressing it in a light vinaigrette. Bring your kids (or nephews/nieces/grandkids) with you to the market. One of my favorite memories from childhood is picking out corn and more at the local market with my grandparents.